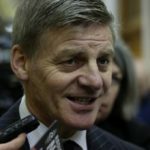 New Zealand; Is The Crown ever culpable? New Zealand is one of those countries in which you’ll never see a court case reported where the Government of the day, any Government, has been held accountable for their part in a disaster, even if it was foreseeable and or, more importantly, preventable. The pike river mine disaster is one such case in point, the government this week ensuring that the details and any evidence pointing to their negligence in the deaths of the miners will never ever see the light of day again. Time and time again this culture of coverup kicks in and protects the culpable from ever having to face a court room. 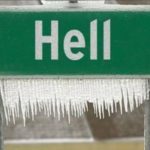 In fact, it seems to us, unlike any other western nation, that the New Zealand Government has managed to corruptly avoid any sort of repercussion for the bad behavior of its civil servants or the politicians ultimately responsible. This week saw another such case, where it was patently obvious that the Government and its agencies were responsible for a tragedy. This time however it was different, this was a criminal case, a murder, the police and crown would allege. Although it seems to us that despite the accused having a plausible self defense case the police proceeded for reasons other than a true belief in the young mans guilt. The New Zealand Herald report yesterday just adequately describes the ordeal and the jury finding of NOT GUILTY! As his frustration grew, Dustin La Mont went to ever more extreme measures to get his noisy neighbours booted out of their state house. It ended with Whangarei man Nathan Pukeroa bleeding to death on a street in Auckland’s Mt Albert. Yesterday, a jury in the High Court at Auckland acquitted La Mont of murder. 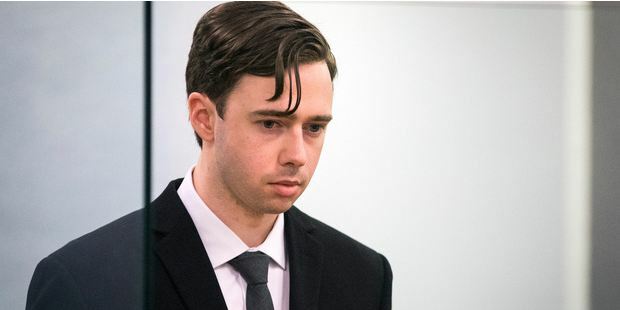 During the gripping two-week trial, the jury heard how the 26-year-old grew increasingly angry at the tenants of the Housing New Zealand property next door. The tenants, described by the Crown as “no angels”, often held loud parties, prompting La Mont’s annoyance to grow over almost two years into “a state of anger and frustration”, the Crown alleged. And in the 10 months leading to Pukeroa’s death, La Mont set about getting any evidence he could to use in the removal of his neighbours. He made complaints to the police, noise control, animal control, and both his and his neighbour’s landlords. He took surveillance videos and photos of his neighbours’ behaviour, including of them using a punching bag in their yard. He did a “vast amount” of vehicle registration checks. And he shared his frustrations on social media. At one point La Mont tweeted: “Never have I been more provoked to go on a murderous rampage”, the court was told. He posted two more tweets before the Crown alleged La Mont went out to see what was going on, armed with a knife, and ultimately ended up stabbing two men, then tried to hide his involvement. His lawyers said La Mont acted in self-defence and took immediate action when faced by two men who were much bigger than him. After five hours of deliberations, the jury yesterday found La Mont not guilty of murdering Pukeroa and not guilty of wounding Pukeroa’s friend Devaray Junior Cole-Kurvaji. 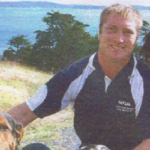 When the verdict was read, La Mont stood quietly in the dock as Pukeroa’s friends and family gasped. Cole-Kurvaji got up and slammed the glass barrier of the dock with his hand before leaving the courtroom. Justice Rebecca Williams thanked the jury for the service and told La Mont he was free to go as his family cried behind him in the dock. Cole-Kurvaji said on the evening of the attacks, they were having some drinks and Cole-Kurvaji did a tattoo – later on he went outside to urinate when he saw a man looking intently at the property. He said it made him suspicious. He and Pukeroa went to see what the man, later determined to be La Mont, was doing when he swung at them with a knife. The jury also watched La Mont’s police interviews a week after the attacks. In the first interview, he appeared calm and denied any part in the incident. However, the court was told, after spending a night with his girlfriend in a motel which had been bugged by police, La Mont confessed the next day to having stabbed the two men. When a detective picked him up from the motel the following morning, the police officer asked La Mont, “Where is the knife?” and was told that it had been disassembled and disposed of in a Mt Albert walkway and in a skip outside the cafe where La Mont worked. Later that morning, in a formal police interview shown to the jury, La Mont said he was cornered by two men at the end of his street, after he was seen looking down the driveway at the party next door. He said he continued walking down the street and “hoped they’d leave me alone”, but could see them staring at him. They had then walked towards him, asking what he had been doing on the street and whether he was working for police, La Mont said. He said the men had said something like “should we smash him cuz” and he had warned them that he had a knife in his pocket. They then advanced towards him and one of them swung a punch, La Mont said. After that, all he could remember was the sound of his knife opening, feet thumping on asphalt and a light shining in his eyes when he ran away. La Mont said he then washed his clothes with mould cleaner and left them to soak in a tub overnight, before speaking to a police officer who came to the door. What you won’t find, and are unlikely to find, in any of the pro-police sycophantic Kiwi media out is any criticism of the authorities for what was quite clearly a failure of Housing New Zealand, Local Council and the New Zealand police to prevent this tragedy, despite so many red flag warnings that the situation had reached crisis and live could well be at risk, in particular the accuseds. These failures and the polices prosecution is typical New Zealand, there aim ion prosecuting undoubtedly to avoid a successful civil action by either the accused or the families of the deceased. 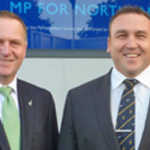 We have absolutely no doubt that Crown minister were involved behind the scenes in the decision to prosecute La Mont, just as government Ministers were involved in the decision balls up the investigation and prosecution of Stephen Dudley’s two murderers, for no other reason than their commercial importance to New Zealand Rugby. Housing New Zealand had a duty of care, the antagonists were after all their tenants, the local council had a duty, there are laws covering noise and nuisance, and last but by no means least the New Zealand police had a duty to take steps that would have undoubtedly prevented these deaths. What is more than obvious is that all of these government agencies failed in their statutory duty of care to La Mont and the deceased, an abysmal failure that resulted in the death of a young man. The New Zealand police are crackers when it comes to covering up their own offending and stuff ups. Their history in this area is second to none, where other nations police forces have gotten rid of corrupt cops the New Zealand force is in fact managed by some of the moist corrupt officers; the current Commissioner, Mike Bush, like those before him, well known for his opinions around the police bungling, false prosecution and false imprisonment of many victims of deliberate police and prosecutor abuse. No doubt this case will simply now fade away, no one being held accountable for the systemic failures that lead to the deaths and the prosecution of La Mont. No compensation being paid to assist those affected with healing and moving on, beyond the pittance offered by the country’s statutory no fault insurer ACC, if any compensation is even payable. What won’t however fade away is the growing public disillusionment and anger with New Zealand’s police at these systemic failures and their arrogant and cowardly avoidance of any meaningful inquiry. La Mont and the victims families will be left to alone deal with the tragedy. 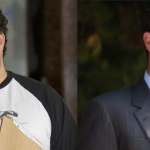 La Mont, who very likely had PTSD prior to the tragedy, as a result of fearing for his own physical integrity following years of harassment at the hands of his Housing New Zealand neighbors will most likely be forced to leave the country if he is not to endure further problems or reprisal. The jury’s verdict is perhaps the most telling, their finding of not guilty not only an expression of sympathy for La Mont, but a deeper expression of the countries distrust and growing dissatisfaction with its dysfunctional corrupt police and crown law institutions. One can be certain that this will not be the last example of citizens trying to protect their rights and property from thugs and hooligans without the support their taxes pay for, and it won’t be the last time police fail in their statutory obligation to assist the New Zealand public in defense of those same statutory rights. 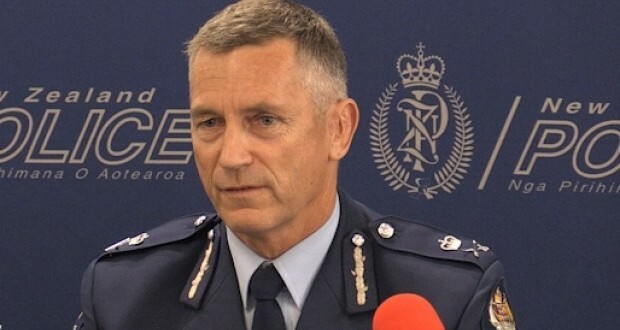 The New Zealand police need to wake up and realize that they are not a law unto themselves, that they are legally obliged to act in defense of citizens without fear or favour. 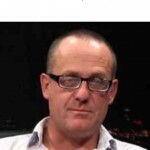 It is indeed also perhaps telling that the New Zealand Herald has withheld the name of the journalist responsible for penning the above article. Perhaps they too were fearful of reprisal. I had a laugh when the media paraded the surviving thug on TV allowing him to spew his sob story to the NZ public. Everyone in this household saw right through that pathetic display.